This project integrated a variety of components ranging from the expectations of otolaryngology and the latest mobile-friendly designs for custom websites. Our team created a beautiful, sleek look that symbolized freshness and newness. while crafting a powerful website that increased online exposure for the client. 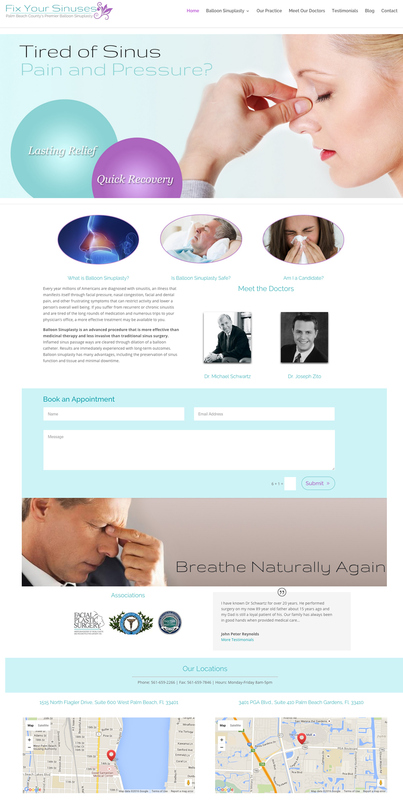 View the complete site at fixyoursinuses.com!